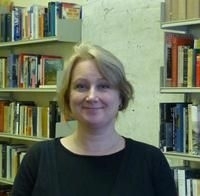 Dr Sian Nicholas is Reader in Modern British History at Aberystwyth. She studied History at the University of Cambridge and Political Science at the University of North Carolina at Chapel Hill before completing her DPhil thesis (on the BBC's role on the home front during the Second World War) at the University of Oxford under the supervision of Lord (Asa) Briggs. She has taught at Aberystwyth since 1992, where she specialises in modern British history, in particular the social history of the First and Second World Wars, and the history of the mass media, especially the press and broadcasting. Modern British social, political and cultural history, especially with a media and/or war related element. Topics supervised in the past include aspects of British cinema and press history, aspects of the British home front in World War 2, and the history of the early environmental movements. Siân's main research specialism is the history of the mass media in twentieth century Britain, with specific reference to the press and broadcasting in the Second World War. Her doctoral thesis was a study of the BBC's role in maintaining home front morale in the Second World War. Since then her research interests have expanded to include the social role of broadcasting in the early years of the BBC, the history of the British press in war and peace, media and the construction of national identity, and 'intermediality', i.e., the institutional, personal and creative links between different mass media in the first half of the twentieth century. Siân is currently completing a major research project on the British press in the Second World War, funded by the Leverhulme Trust. The British press and D-Day: Reporting the launch of the Second Front, 6 June 1944Nicholas, S., 2017 , In : Media History.23, 3-4, p. 489-50719 p.
Broadcasting in the 1950s in the UK and US: Historical PerspectivesMedhurst, J. L. (ed. ), Nicholas, S. (ed.) & O'Malley, T. (ed. ), 2016 , Newcastle upon Tyne: Cambridge Scholars Publishing. 232 p.
Now the war is over: Negotiating the BBC's wartime legacy in post-war BritainNicholas, S., 2016 , Broadcasting in the UK and US in the 1950s: Historical perspectives. Nicholas, S., O'Malley, T. & Medhurst, J. (eds.). Newcastle: Cambridge Scholars Publishing, p. 9-2830 p.
‘Broadcasting carries on!’ Asa Briggs and the history of the wartime BBCNicholas, S., 2014 , The Age of Asa: Lord Briggs, Public Life and History in Britain since 1945. Taylor, M. (ed.). Springer Nature, p. 165-1662 p.
The Reithian legacy and contemporary public service ethosNicholas, S., 2014 , The Routledge Companion to British Media History. Conboy, M. & Steel, J. (eds.). Taylor & Francis, p. 323-33311 p.